FOR THE first time in more than 25 years, the AFL will hold a mid-season draft in 2019. After much speculation, details were confirmed on the eve of the home-and-away season. Here are the key questions answered. When is the Mid-Season Rookie Draft? The evening of Monday May 27, the night after round 10 concludes. Why is the Mid-Season Rookie Draft being introduced? 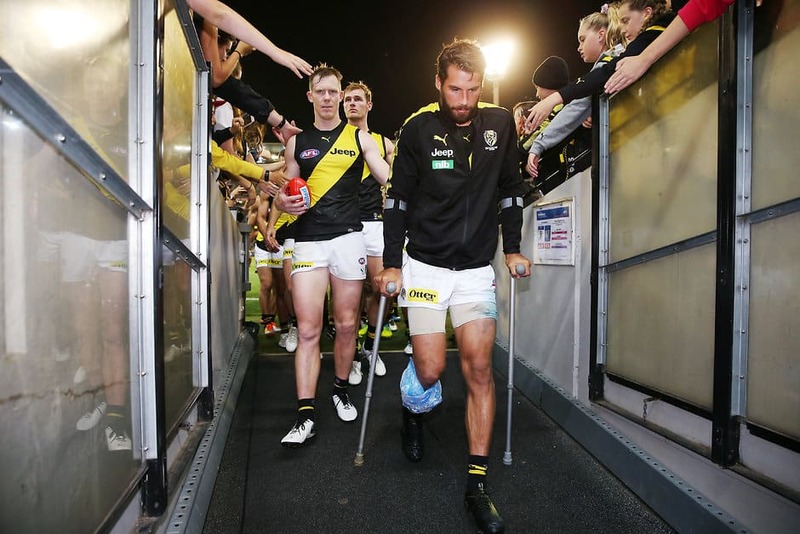 It's an effort to limit the impact of long-term injuries and premature retirements at AFL clubs. Holding the draft midway through the season gives clubs the opportunity to replenish their lists for the back half of the campaign. How many picks will my club have? Clubs can fill vacancies on their list created by players succumbing to long-term injury, or retiring from the game. For clubs to select top-up players in the mid-season draft, they must vacate list positions by midday, Monday May 27. Six clubs (Gold Coast, Carlton, GWS, Melbourne, Port Adelaide and Hawthorn) had list spots available following the pre-season supplemental selection period (SSP). PRE-SEASON SIGNINGS Who did your club grab? That number is expected to grow, with teams able to place players on their long-term injury list for the year to open up mid-season selections. Like the NAB AFL Draft, the Mid-Season Rookie Draft will be selected in reverse ladder order. The mid-season draft will be based on the ladder positions as they stand after round 10. If all clubs have list slots available, the 18th-placed team will have pick one, the 17th-placed team pick two, and so on. Clubs will be able to draft any footballers who have already been on an AFL list, or who nominated for the 2018 NAB AFL Draft. Any player delisted at the end of 2018 cannot be re-selected by the club that delisted them, unless they nominated for last year's NAB AFL Draft. There will be a five-day window for players to nominate for the Mid-Season Rookie Draft from Monday April 29 to Friday May 3. Does that mean the Hawks can get Cyril Rioli back? A player who retired in 2018 must also have nominated for last year's NAB AFL Draft to be eligible to be selected. As a result, Hawthorn champion Rioli will need to wait until 2020 for any potential AFL return. Retired players become eligible for mid-season draft selection after they have not been on an AFL list for at least one year. How will state league clubs be compensated for losing a player? It's understood AFL clubs will be made to provide them with a reimbursement. That could include a payment of up to 50 percent of any sign-on bonus given to the player by their state league club. The League has also moved to offset state league clubs' concerns by introducing a number of conditions. A player drafted from a state league will not be asked to play against their original club unless all parties agreed. For example, should Williamstown defender Sam McLarty be selected by Carlton, he will not be allowed to represent the Blues' VFL-affiliated Northern Blues against Williamstown, unless the Seagulls approve. What's in it for the players? Players selected in the Mid-Season Rookie Draft will be able to negotiate terms of a new contract beyond 2019, just like any other listed player. Meantime, it is also believed that any player selected in the Mid-Season Rookie Draft that is not retained by their club, or selected by any other club at the end of 2019, will receive a financial sum of around $20,000. It has, though a mid-season draft hasn't been seen in the AFL since 1993. Among the players drafted last time around were Dale Kickett, Damian Bourke and Andrew Krakouer (the younger brother of Jim and Phil). CHILL OUT Has the ice bath been debunked?